Knitter's Pride ring stitch markers are a great way to separate pattern repeats, mark increases or decreases, or anytime you need to mark your knitting. 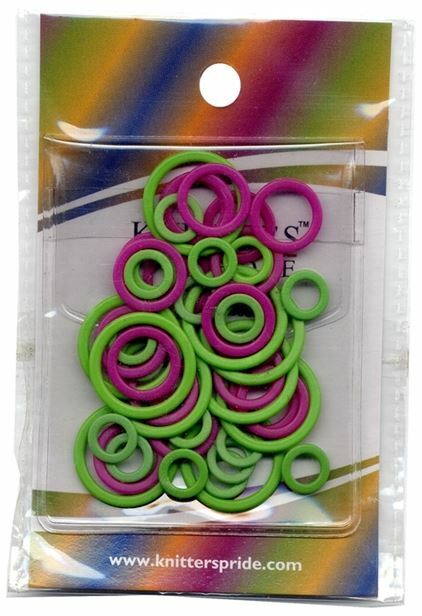 - 50 assorted size stitch markers per package. I use them all the time. They are definantly a good buy for any knitter. These are the semi-flexible ones.